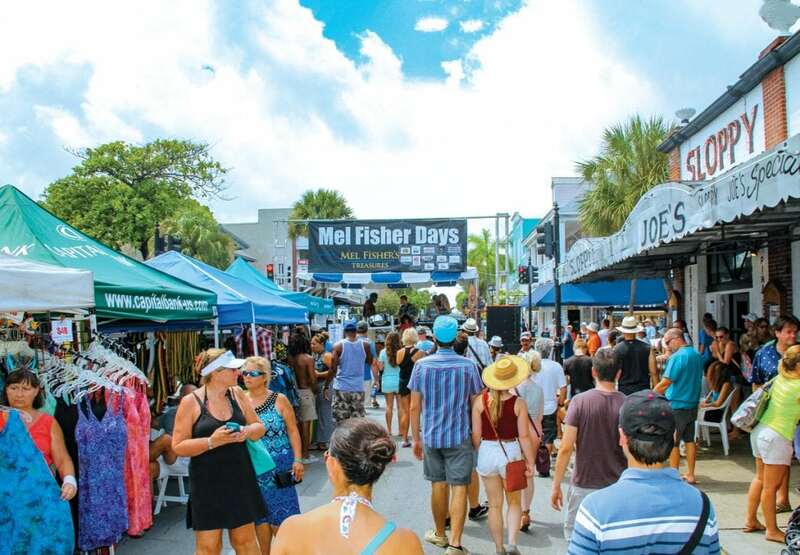 If the treasure hunter in you is still seeking your chest of gold and silver, make your way to Key West July 12-14 for the Mel Fisher Days Annual Charity Event. The celebration is held to commemorate Mel Fisher’s famous 16-year search for the Spanish galleon Atocha which lead to a $450 million dollar treasure discovery in the waters just off Key West. Fisher was an American treasure hunter. He is best known for finding the 1622 wreck of the Nuestra Señora de Atocha. A tribute museum contains an extensive collection of artifacts from 17th-century shipwrecks. That includes the Henrietta Marie, Nuestra Señora de Atocha, and Santa Margarita. Also included are the shipwrecks and artifacts of The Santa Clara, a Conquistador-era galleon (1564), The Guerrero & Nimble. A rotating gallery exists on the second floor of the museum. Attendees can tour of Fisher’s famous 90-foot treasure salvage vessel JB Magruder. She’ll be docked behind the Schooner Wharf Bar at the Key West Historic Seaport. You can board the ship and see the equipment used for treasure hunts and see where the treasure is stored. You’ll also get a private tour of the Fisher family’s conservation laboratory. All net proceeds from the event will be donated to Wesley House Family Services, Inc.